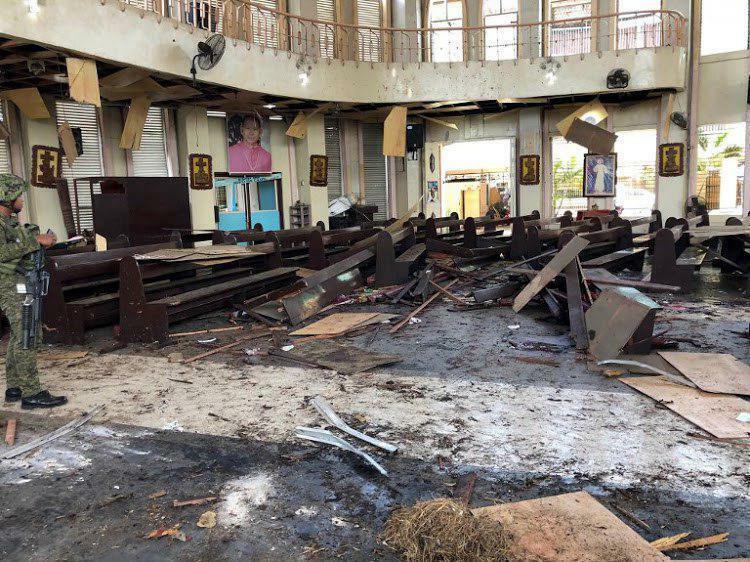 MANILA, Jan. 27 (Xinhua) -- The death toll has climbed to 27 in the twin explosions at a church in the conflict-plagued Sulu province of the southern Philippines on Sunday, the police said. 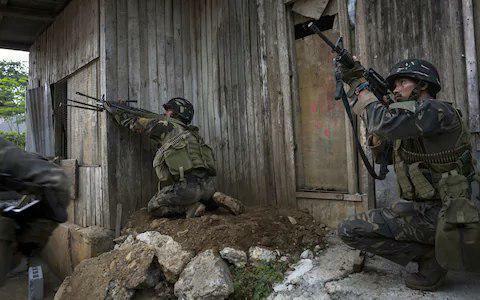 Police Chief Superintendent Graciano Mijares, Philippine National Police (PNP) director in the Autonomous Region in Muslim Mindanao (ARMM), told local media that so far his office has recorded 27 d ead, including seven army soldiers, and 77 injured in the blasts that hit the Jolo Cathedral at 8:15 a.m. local time on Sunday. Philippine Defense Secretary Delfin Lorenzana strongly condemned the bombing in a statement released on Sunday. 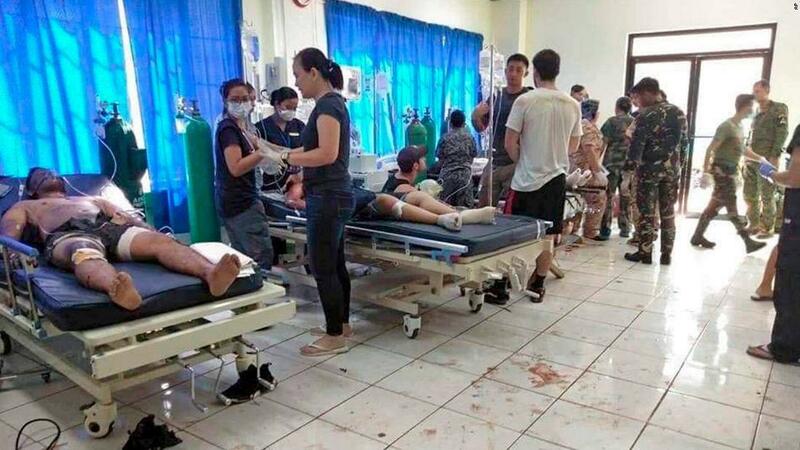 He said the Armed Forces of the Philippines has immediately secured the explosion area and transported the casualties to the nearest medical facilities, including the air evacuation of some victims to Zamboanga City for further medication and evaluation. "As we convey our sincerest condolences to the families and friends of the victims and offer our sympathy to the peace-loving people of Sulu who are severely affected by this dastardly act, we assure our people that we will use the full force of the law to bring to justice the perpetrators behind this incident," he added. Lorenzana urged the public to be more vigilant and cooperative with the authorities in reporting any security-related concerns." 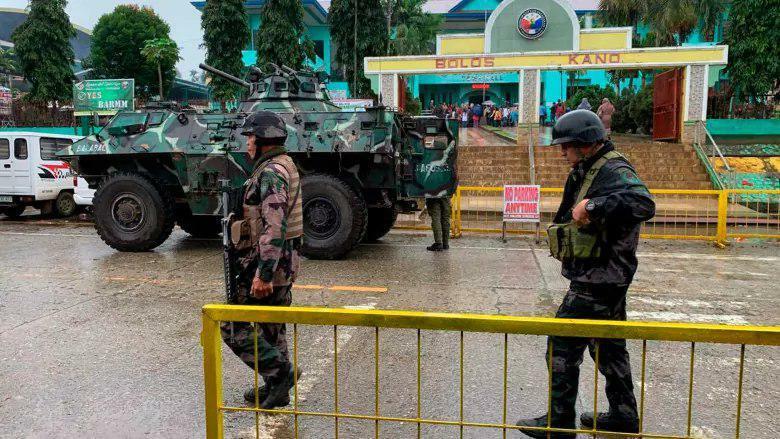 "We also urge everyone to remain calm and avoid spreading panic in our respective communities to deny terrorism any victory," Lorenzana said. 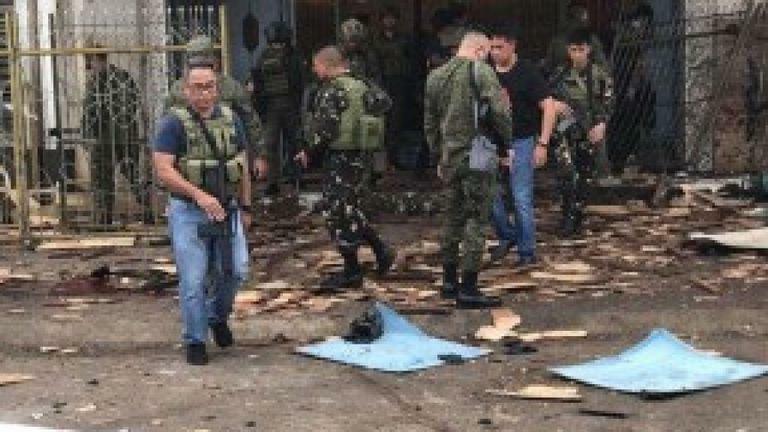 The Philippine Presidential spokesperson said on Sunday afternoon that "authorities are now investigating these brazen attacks, which includes identifying the group behind the blast."